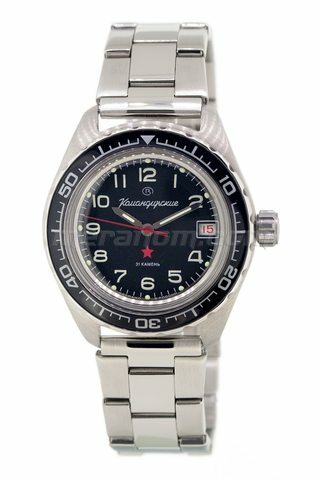 Vostok 2432 automatic movement with central second hand Day/night indicator (24 hours) Date calendar Over-winding safety device 32 jewels Average daily rate: -20 ... + 60 sec. Frequency: 19800 vibrations/hour Power reserve not less than 31 hours Stainless steel case Nato s..
Vostok 2416B automatic movement with central second hand Over-winding safety device 31 jewels Date calendar Average daily rate: -20 ... + 60 sec. 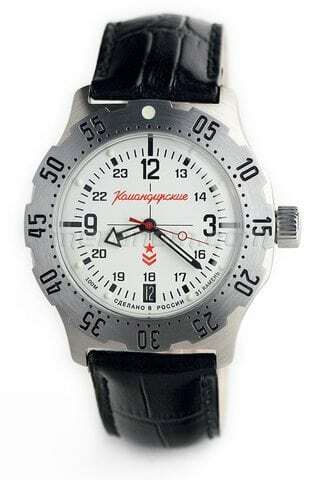 Frequency: 19800 vibrations/hour Power reserve not less than 31 hours Stainless steel case Plexiglas lens Water-res..
Man's watch "Komandirskie" can be met not only in the most remote and deaf corners of Russia, but also on all continents of the globe. 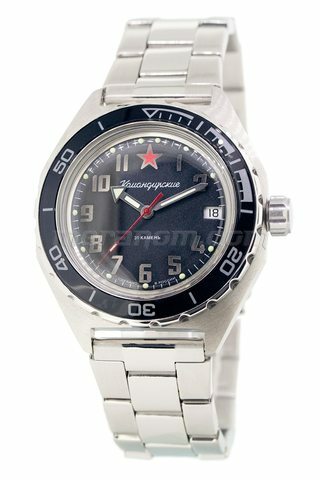 However not all admirers of this brand know that the homeland "Komandirskie" - Chistopol watch factory (ChChZ) "Vostok". Nearly sixty years the enterprise let out a men's mechanical watch. The first Chistopol watch-makers who are famous for the highest professionalism, have created in terrible military years when the plant let out clockworks for needs of the front, principles of reliable and exact work. They also became obligatory for all subsequent generations of workers. Reliability, durability, accuracy of a course of clockworks already have in the early fifties glorified Chistopol watches not only in our country, but also abroad, and at the sixtieth precision o'clock "Vostok" have received a big gold medal on prestigious those years to the Leipzig international exhibition. Such fact is little-known. In the early nineties a watch with a second disk, with two disks, with a lens became a last word in fashion in the West, thanks to the Swiss and Japanese producers. Meanwhile, just the same watches were issued at our plant in 1959. It is not so sensational, but we mean for the characteristic of potential of ChChZ and that fact what exactly our enterprise the first USSR in the history of the hour industry has adjusted those far years release of a mechanical watch with accuracy of a daily course a plus-minus ten seconds, with the shooters which were shone in the dark and dial figures not less. To the middle the sixtieth we have mastered release of watches with a calendar of instant switching and stopping balance. All this was highly appreciated by people of the most courageous profession - military of all types of military forces. 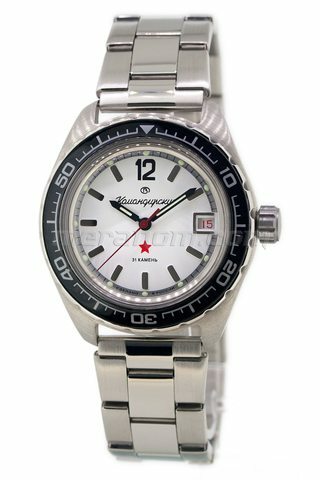 In 1965 the Chistopol watch factory "Vostok" became the official supplier of watches for the Ministry of Defence. Watches "Komandirskie" as these chronometers began to be called, have won at once recognition at regular officers because of the reliability and a practicality. 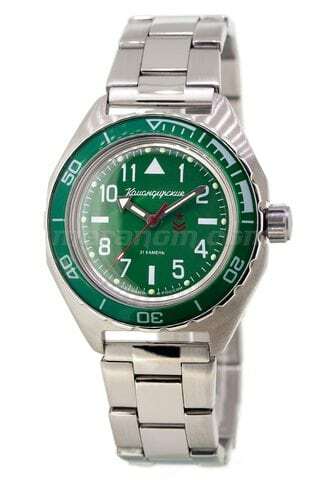 Taking into account remarks of military all specialties, these watches were constantly improved: have been transferred to other larger calibre K-24, have got a rotating disk of time, for dials the symbolics of types of military forces began to be put, release of watches with autowinding "General", "Admiral's" is begun. And on the basis of the first K-22 mechanism special watches "Amphibian" for the submariners, maintaining pressure to 20 atmospheres have been designed. Successful release of professional watches for military has defined a basic course of development of plant: production of the mechanical clock which is precisely counting time at any temperature, in any hostile environment, bearing blows and overloads. For all years of work Chistopol watch-makers on an iota have not departed from the classical scheme - all models of mechanisms have so-called Swiss system of anchor descent, steel anchor wheels and forks, a support on ruby stones, clockwork hour springs from special precision alloys, the shock-proof device of knot of balance. 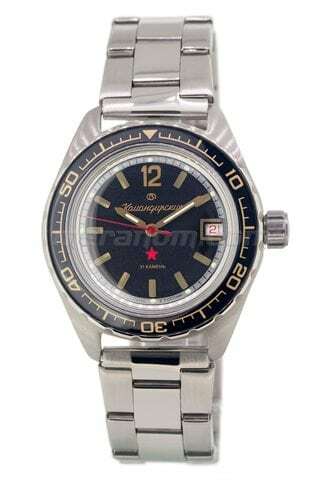 In the late eighties watches "Komandirskie" began to use wide popularity in the West, as, however. And all Soviet with military symbolics. 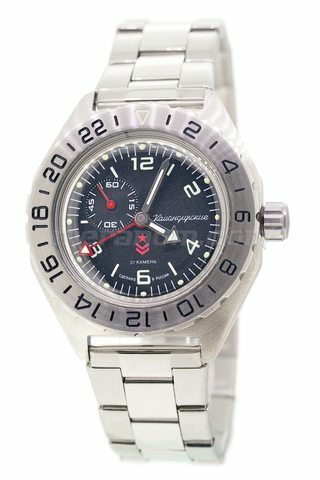 The American military during carrying out operation "Desert storm" on advantage have estimated also a practicality of these watches, and ability of Chistopol watch-makers in a short time to carry out orders. By request of the Ministry of Defence of the USA at plant have made ten thousand copies of watches with memorable symbolics for participants of this operation. These watches as expensive relic, are stored today in many American families. The flexible control system, legal and economic independence, ability to rely only on the forces, accurately built scheme of production, orientation to market conditions and inquiries of consumers have helped Chistopol watch factory to pass safely all reeves and banks of an economic crisis in hour branch of the country. 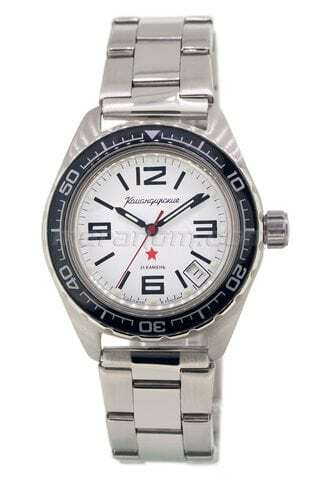 Today this only thing in Russia stably working enterprise for release of a men's mechanical watch. It is enough to tell that it one in a year makes more watches, than the First and Second Moscow watch factories together taken. And consequently in 2000 the Ministry of Defence of Russia has accepted the sentence of Chistopol watch-makers on renewal of former cooperation. Moreover, the reserve of nominal "Komandirskie" watches for their delivery caused a stir in fights and successful service is created nagradny. The first orders on exclusive delivery "Komandirskie" for Airborne troops, the Tver Suvorovsky school are already executed also. 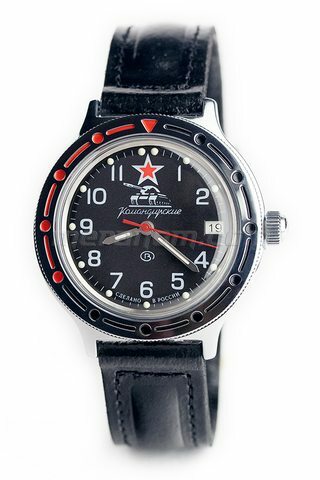 Chistopol watch-makers are sure that this cooperation will get stronger only, and delivery "Komandirskie" for difference in service and courage in fight will revive temporarily lost tradition of rewarding nominal watches of the caused a stir defenders of the Fatherland. 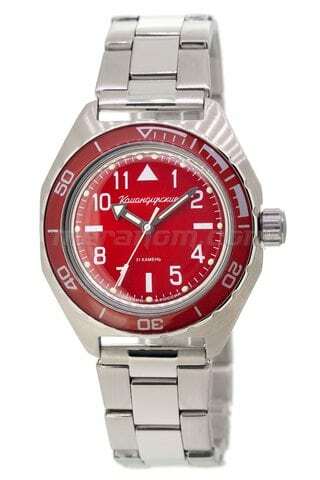 Watches "Komandirskie" are widely known and popular not only in military. 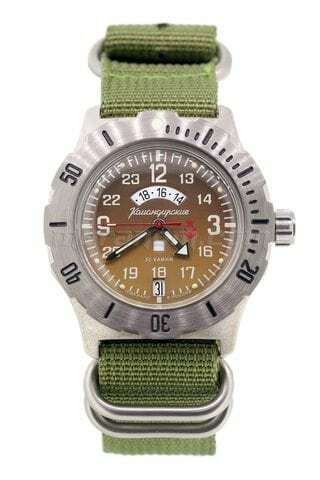 Image of watches for the real man involves in them million the buyers far from army days. "Komandirskie", "General", "Admiral's" many decades decorate wrists of men of different age and professions. These watches serve all faithfully. 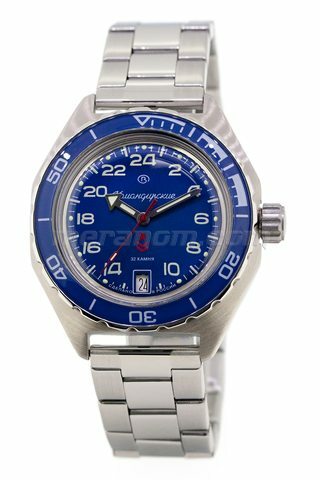 The wide scale of watches and instrument production of JSC ChChZ "Vostok" is capable to satisfy inquiries of the most exacting buyer. After all today, except constantly extending range of man's models, the enterprise lets out female, ship, automobile, wall, quartz and mechanical alarm clocks, energy saving devices. All demands and orders are carried out at plant with military accuracy in the specified term.